We test out the new and updated iconic climbing helmet from Petzl with the oh so brilliant magnetic clip. Lightness and comfort have made the METEOR helmet a signature product for climbing and mountaineering. This model has the advantage of large openings for excellent ventilation. I never really was a helmet sort of person, for years I spurned them in favour of freedom and the feeling of the breeze through my hair. Climbing helmets in those days were big and bulky affairs. They were ugly looking, heavy and felt cumbersome with complaints such as ‘ I always scrape my head against the rock when I’m wearing a helmet and never when I’m not’. 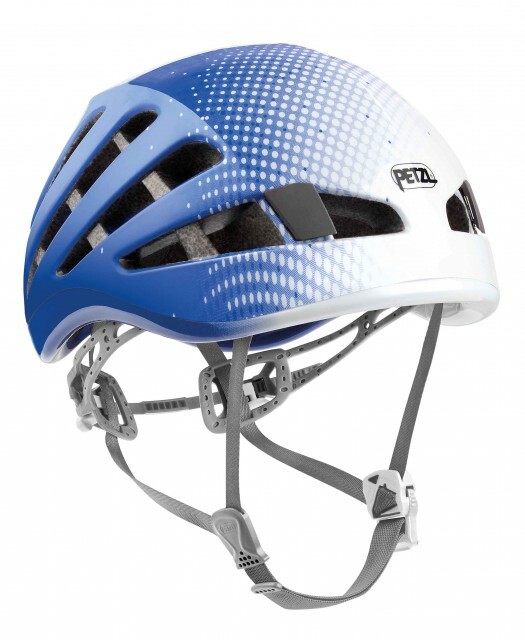 Then Petzl bought out the radical Meteor helmet, this was a revelation. 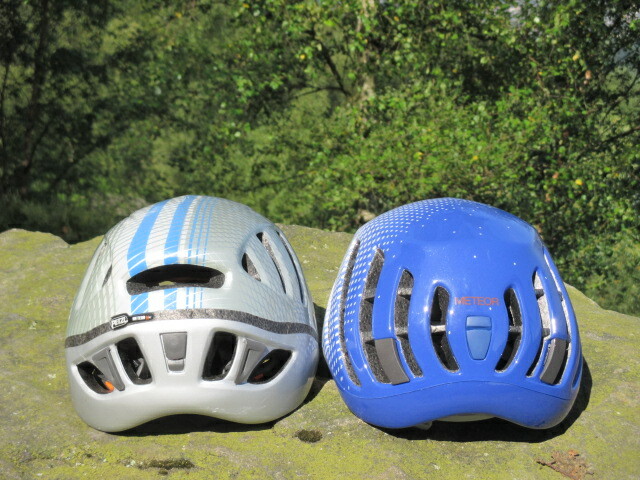 This blew away the concept of a tough resin dome and a cat’s cradle of webbing inside and bought cycling helmet technology to climbers. Light, stylish (for those days) and colourful. It even had dials you could twiddle! Since then I’ve always worn a helmet in the mountains. 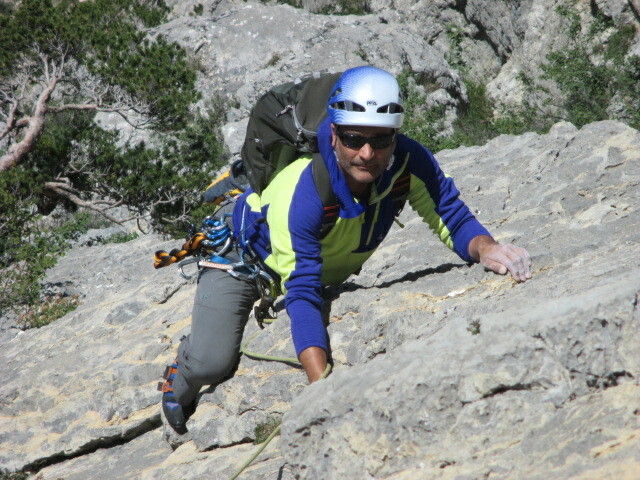 I still climb helmet free; for single pitch sport climbing or climbing on a less busy outcrop. Professionally I feel I need to set good practice so always wear the latest model of lightweight helmet and am happy to discuss the pros and cons of different helmet styles. I have owned and wore every model of Petzl Meteor helmet since they came out and still have the Meteor III+, which I thought was one of the very best climbing helmets out there. Petzl have ditched the numeric and gone back to just naming the helmet the Petzl Meteor. A quick Google search however will reveal that most retailers are calling it the Meteor 4. The new Meteor comes in two sizes: size 1 for smaller heads and size 2 for average to large. The cradle range is plenty big enough to accommodate most head sizes and there is some overlap, do measure your head though and don’t forget that you may well be wearing a hat with the helmet on. The Petzl Meteor still retains the classic Meteor III shape with some very subtle changes: more vents which are slightly larger which helps regulate the temperature when climbing aerobically (such as climbing a snow field or approaching the base of a route)’ a redesigned rear which reduces the bulk of the helmet and makes it look and feel more sleek when wearing it. Le nouveau derriere! More venting and the gap disappears. The headtorch clips have been slightly recessed and cleverly (oh so French) designed into the helmet again to reduce the bulk and make the helmet feel compact to look at and wear. The clips worked really well with both single and overhead headtorch straps and once clipped into place any headtorch was firmly locked in. The adjustable cradle on the Petzl Meteor was very easy to operate. It worked best when the helmet was actually on. There are two white buttons on either side of the cradle. Just depress these and the cradle will adjust outwards. If the cradle needs to be smaller it’s easy to place your thumbs just above and behind your ears then press and push the buttons towards your thumb. 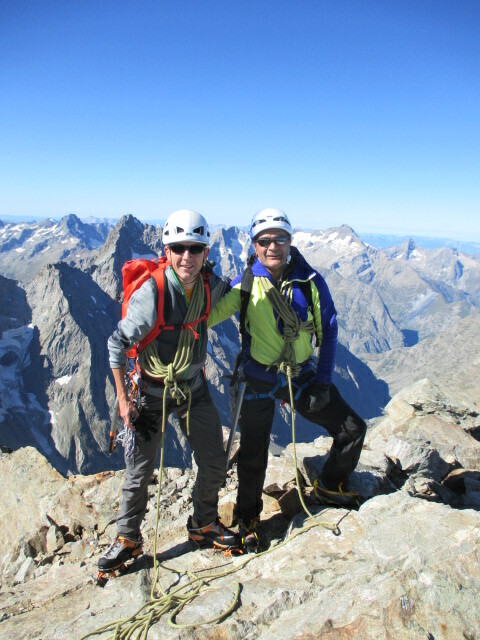 This worked just as well with gloves on (but was more tricky with larger belay gloves – as you would expect). But once adjusted at the beginning of the climbing day it never moved. The surface of the cradle was wider in crucial areas and the material rubberised to help keep the cradle firmly in place. Light to wear and well ventilated for all day wear. There are some velcro fastened foam inserts to keep your head away from the expanded polystyrene. These can be removed for washing and you get a spare pair in the box as well as a protective cover. The chin strap was easy enough to adjust and I would always advise spending some time this is done correctly. I spent a considerable amount of time adjusting clients helmets correctly when working. A lopsided helmet is not only ineffective it looks really uncool! The forward adjustment was easily done by pushing the strap forward then pulling the other side. It is then locked into place with serrated teeth. Backwards adjustment was very slightly harder but nothing too difficult it just needed a little more fiddly pushing. The Petzl Meteor III and 4. Showing the improved vents. Then of course there is the magnetic closure – did I mention magnetic? Yes of course I did. This first appeared on the Petzl Sirocco helmet last year and is a great little feature. One of my bugbears is chin straps clasps, always fiddly to close, especially with gloves on. Petzl have elegantly solved this with the addition of two small magnets. This then becomes a joy to use, as soon as the two parts come to meet together the magnet guides the clips into place and ‘click!’ they’re firmly clipped together. A joyous piece of French design, that although small is a delight to use. In conclusion, the Petzl Meteor is great update. I’ve been using the Meteor III+ for a while for both climbing and mountain biking and I feel the new one is worth the upgrade. It feels more compact, lighter to wear and supremely comfortable. The new, larger vents help keep my head cooler. The straps are easy to adjust and the magnetic clip is great. The overall, compact shape and the new colour scheme makes the helmet look cool too. The Petzl Meteor climbing helmet has always been and will remain an iconic piece of climbing equipment. SRP £80.00 for both sizes.